The 2017 NCAA Softball season is less than two weeks away and there are some burning questions such as will Oklahoma repeat as National Champions, will Florida reclaim the throne, or will another team outside of those two win the title for the first time since 2012? 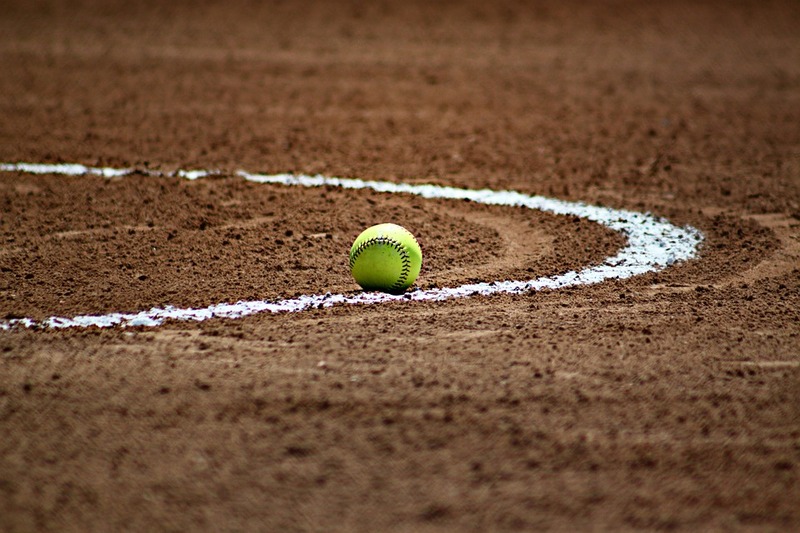 We will ask five questions about various topics for the upcoming college softball season below. 1. Will any team usurp the Michigan Wolverines in the Big 10? Will any team not named Michigan make the Women’s College World Series from the Big 10? We start with a two-part question for an early bonus. Michigan has undoubtedly been the top team in the Big 10 under Carol Hutchins. The Wolverines have won or tied for the Big 10 regular season title every year since 2008. The Wolverines lost their do everything star Sierra Romero, but they still return lots of talent. Kelly Christner, Tera Blanco, Aidan Falk, and Abby Ramirez all return as does one of the best pitchers in the nation, Megan Betsa. The Wolverines are still the favorite in the conference. The Wolverines have been dominant in the regular season, but of the five Big 10 Conference Tournaments to have been played since 2008, Michigan has only won once. (Note: The Big 10 did not have a conference tournament from 2009 through 2012). The Wolverines have made the WCWS four times since 2008. As for the rest of the Big 10, they have had trouble even making the WCWS. Since Northwestern made back-to-back Oklahoma City trips in 2006 and 2007, only one team not named Michigan has made it to the WCWS. That was Nebraska in 2013 when the Huskers lost in two extra inning games. Who will challenge the Wolverines? Minnesota seems like the most likely team given they have won the Big 10 Conference Tournament twice in the last three seasons defeating Michigan both times. Could Nebraska, Illinois, or Ohio State make the jump over Michigan? Stay tuned. 2. Will Auburn take the final step and win the National Championship? There is no doubt the Auburn Tigers have one goal beyond winning the SEC Championship in 2017: Win the NCAA National Championship. Clint Myers came to Auburn after the 2013 season when he left Arizona State after coaching them from 2006 through 2013. In those 8 years with the Sun Devils, he won 2 titles and made the WCWS 7 times. He took over an Auburn team had some talent as the Tigers had finished 30-23 overall and 7-17 in the SEC in 2013. In 2014, they reached the NCAA Regional Final, losing to Minnesota in the decisive game. The Tigers were part of the final four in the 2015 WCWS and then lost the thrilling 2016 WCWS Championship Series 2 game to 1 against Oklahoma. The Tigers did lose some talent in Emily Carasone (.399 average with 13 home runs and 67 RBI), Tiffany Howard (.390 average and 11 stolen bases), and Jade Rhodes (.338 average with 20 home runs and 74 RBI). That is a lot of production from three starters that will not be returning. Haley Fagan will be back after missing most of the 2016 season (she played in the NCAA Tournament). Fagan’s replacement, Whitney Jordan (.228 average, 7 home runs, and 39 RBI), is back along with Carlee Wallace (5 home runs and 42 RBI) and Madi Gipson (6 home runs and 43 RBI). The biggest bat returning just happens to be the team leader in batting average, home runs, and RBI from 2016. Those stats belong to Kasey Cooper who hit .422 with 21 home runs and 83 runs batted in. Also back are the top two pitchers from last season in Makayla Martin and Kaylee Carlson. Martin went 15-4 last year with a 1.57 ERA with four complete games as freshman. Carlson finished 19-2 overall with a 2.36 ERA and completed 10 games. They present a scary 1-2 punch in the circle for opposing teams. The expectations are sky-high for Auburn in 2017. Will the Tigers deliver the National Championship? They are certainly one of the favorites to win it all. 3. Who (if any) will be the surprise team in 2017? Last year, one could easily make the argument that Georgia, the #16 national seed, was the surprise team considering they defeated the 2-time defending champs Florida in the Super Regional two games to none. They also had a solid showing in Oklahoma City when they won their first game, but ultimately lost the next two. 2015 was very straight forward as the top 8 national seeds all advanced to the WCWS. 2014 had both Kentucky (#14 seed) and Baylor (#13 seed) make the WCWS. Baylor made the final four, but were ousted by eventual champion Florida. 2013 saw #11 Washington and #14 both make the WCWS. It was the #7 seed Tennessee that ended up making the Championship Series where they lost to Oklahoma in two games. 2012 was a crazy post-season in which unseeded LSU and South Florida both made the WCWS. Unseeded Oklahoma State made it to Oklahoma City in 2011. 2010 was the year of the double-digit seeds. #16 Hawaii defeated #1 Alabama in the Super Regionals and then opened the WCWS with a 3-2 win over #9 Missouri. #10 Arizona and #15 Tennessee both made the WCWS with the Wildcats going all the way to the Championship Series (lost the series 2-0 to UCLA). It is likely that any surprise run will come from a major conference team, but it is always worth keeping an eye on the unseeded team that can get on a hot run and see how far it takes them. 4. Will the Pac-12 Conference have a resurgence? NCAA softball was dominated in the early days by teams located on the West Coast. Between 1982 and 2004, only three times did a team not from the West Coast win a National Championship: Texas A&M in both 1983 and 1987 and Oklahoma in 2000. The Pac-10 (as it was called prior to 2012) won the championship every year between 1988 and 2004 except for 1998 (Fresno State) and 2000 (Oklahoma). Michigan’s win in 2005 finally saw a team east of the Mississippi River win the title, but 2006 through 2011 saw it go right back to the Pac-10. However, there has been a noticeable and seismic shift in the balance of power. It has migrated back east with to the Big 12 and SEC conferences. In fact, since 2011 when Clint Myers won the title at Arizona State, no team in the Pac-12 has even made the WCWS Championship Series. That is not to say the Pac-12 does not have good teams. They do in traditional powers Arizona, Arizona State, UCLA, and Washington, but also recent power Oregon, who has made the WCWS three times since 2012. The Pac-12 placed eight teams in the 2016 NCAA Tournament, 7 in the 2015 edition, and 5 in the 2014 season. Only 1 made the WCWS in 2016, two in 2015, and one in 2014. There are several capable National Championship contenders in this conference, but will it end up being a sixth straight season without a title going back to the West Coast? 5. Will scoring continue to trend up? Women’s softball has seen an explosion on offense since 2000. At the turn of the century, the average runs scored per game was hovering near 3.5. In 2016, that average was up a full run to 4.52 per game. As one would expect, home runs have also gone up from slightly above 0.3 per game in 2000 to a high of .76 in 2015. Last year had a per game average of 0.65 home runs. Below is a table of the runs and home runs per game since 2011 for Division I softball. If you are looking a for great reference into the scoring averages since 2000, please click here for an article from the middle of the 2015 season. The article provides a graphical view of runs, home runs, and stolen bases per game since 2000. Why the surge in scoring? As this article laid out, it has to do with bigger, stronger, and more athletic hitters. Technology has a lot do with the higher scoring, which allows better scouting. There were over 70 games televised on the ESPN channels and SEC Network in 2016 and there will over 70 games televised in 2017 as well. It looks safe to say that high scoring is probably here to stay for the foreseeable future. That will make for some entertaining games where one swing of the bat can change the entire complexion of a game. Apologies to those who yearn for the old days where pitching duels were common.